Well.. the Hangouts on Google+ continue – I have really been enjoying getting together with a group of Craft Bloggers on Google+ and having a mass video conference call, discussing different craft ideas each week. 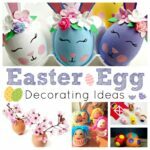 And this week, we did it again: Egg Craft Ideas! 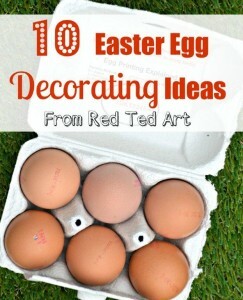 And not “just” your traditional Egg Decorating Ideas – but beyond that. 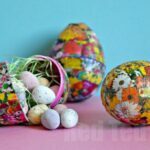 What can you make out of egg shells and what plastic egg craft ideas are out there? 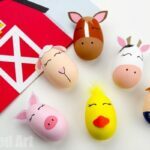 Again, the group of bloggers surprised me with the diversity of craft ideas – this time from egg shaped bath bombs, to counting games. We got together on GOOGLE+ for a crafty Hangout! 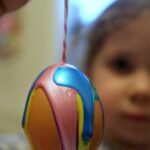 1) I start out by sharing a clever, less messy “egg blowing” technique, which is also safer for children and how you hang your eggs. I think egg blowing REALLY benefits from the video demo, as the photos on my blog post don’t do it just! 2) Next we have Here Come The Girls, who had the great idea to use plastic eggs as molds to make Easter Bath Bombs!! I am soooo making some for my Mother in Law this year. She will be a happy lady! She used the Bath Bomb Recipe here. 3) Me and My Shadow shares her fantastic Guerrilla Seed Bombing idea. I love the thoughtfulness that goes into this gift. I think it would be a great one for my Brother and Sister- in law. Right up their street! 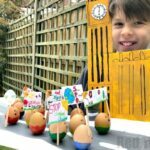 5) Playful Learners has a great activity using plastic eggs for our “little ones” – turn your eggs into counting eggs – match the numbers and dots.. and even fill the insides with the right number of buttons. Pip Squeak will have much fun! 6) Use egg shells to make your own Easter Candles – these candles cost me virtually NOTHING to make. They look bright and colourful and are again a lovely Easter Gift! 7) Or… turn your egg shells into a mould for Soap Making and create these “dinosaur egg soaps” – you should see my kids, the LOVE washing their hands in the eagerness to get the “baby dinosaur out”!!! The soap making element is VERY easy and NOT dangerous and again, we added these as small gifts to their Easter baskets last year! 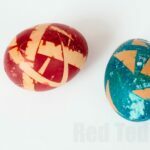 8) Another use for Plastic Eggs, is to decorate them nicely and then have them as “keepsakes” to fill each year with sweets. 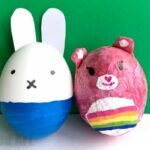 We made child friendly “Decoupage” eggs. 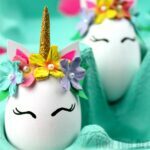 9) Again, not in the hangout above.. but a plastic egg craft idea I have adored from afar for a while…are these cute as a button plastic egg tea cups!!! HOW adorable????? LOVE LOVE LOVE. 10) And to round off our 10 egg craft ideas hangout, we have this oh so simple and yet oh-so-obvious-why-didn’t-I-think-of-that-idea – plastic egg snack boxes. Yep that is right.. use your plastic eggs to fill with little snacks. My kids will ADORE this! 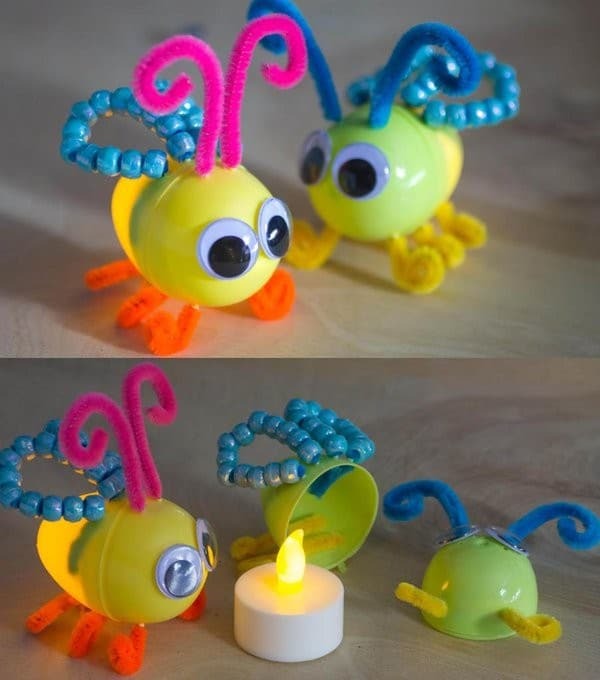 11) Egg Lighting Bugs – how very cute! This was a fab hangout, thanks for having me. Loved all the ideas. Guess we’ll be eating a lot of scrambled eggs and cakes for the next few weeks! Hehehe yes us too!!!! Luckily we adore both 🙂 Thanks for joining in again!